Azure Data Studio: Now an Open Source GUI Tool for Postgres Too — Postgres’s own psql command line client is fantastic, but some people much prefer a graphical tool and Microsoft’s Azure Data Studio now has preview-level support for Postgres. They’ve also released similar tools in an extension for VS Code. 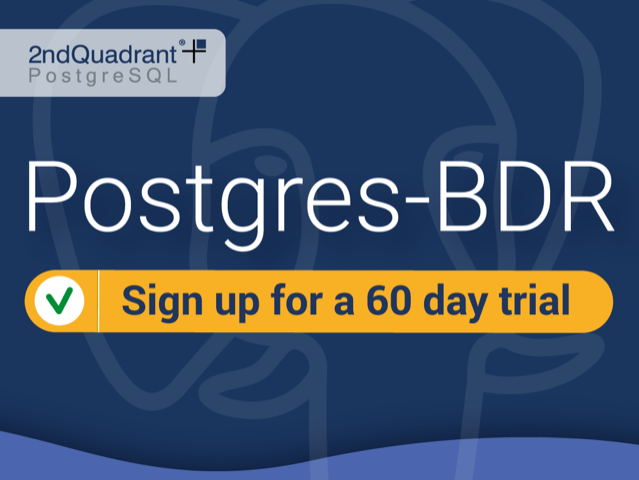 Sign Up for the Postgres-BDR 60-Day Trial — As the most powerful tool for multi-master replication, Postgres-BDR significantly reduces the impact of a master failure and minimizes risk of data loss. BDR provides up to five 9s of availability, Point-In-Time Recovery, Rolling Upgrades, and more. Vertically Scaling PostgreSQL — Postgres is very receptive to making use of extra resources (CPU, memory, disk, etc.) but it’s not all automatic and sometimes tweaks are necessary. Of course, if you want some horizontal scaling for Postgres, check out Citus. postgresqltuner.pl: A Simple Script to Get Tuning Advice — A script that analyzes your Postgres database configuration and provides tuning advice. Performance Tuning Foreign Data Wrappers — postgres_fdw has some hidden tuning options that are not widely known by users. How to Replicate Postgres Data to Remote Sites — Compares Slony, Bucardo, logical replication, and FDWs. ▶ How to Manage & Automate PostgreSQL — Watch the free replay of our recent webinar on the power of automation for PostgreSQL. Fun with SQL: Text and System Functions — Mostly a look at Postgres’s position function along with some other helpful, related functions. Postgres's psql client comes with a lot of meta-commands to help you navigate your databases and perform various administrative functions. A particularly interesting one is \watch. At its simplest, \watch runs the last run query (from psql's query buffer) every 2 seconds. If you specific an argument, in seconds, it'll run the query every X seconds instead: \watch 1 for every second, say. Use CTRL+C to break the loop. This week's tip is sponsored by the database team at Citus Data, now part of the Microsoft family. Learn more about how Citus scales out Postgres on the Citus Data blog.